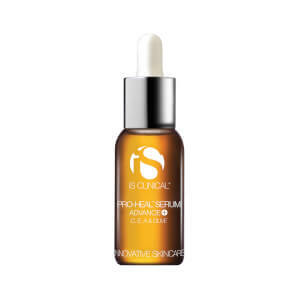 iS Clinical Super Serum Advance+ combines the remarkable results of time released L-ascorbic acid in a 15% concentration, with copper tripeptide, to reduce the appearance of fine lines, wrinkles, scar tissue, stretch marks and uneven pigmentation. This new and improved formula is three times more effective than the original super serum, and is very effective at causing skin to appear brighter and firmer with a more even tone and texture. Crank your regular skin care regimen up a notch. Works well for my Hyperpigmentation. I have never been able to use vitamin C serum. They make me itch and breakout. I took and a chance on this one, and I'm glad I did. I love it. No itching, no spots, just clear radiant skin. It has lightened some spot marks from vast breakouts. Love love love it! This is the only product in the entire IS Clinical lineup that I actually find to make a difference. It goes on smoothly and after a few seconds of tingleness, my skin is left soft, supple and glowing. It's less harsh than other Vit E+C serums I've tried, which tend to leave my skin itchy and irritated. I don't notice any reduction in my fine lines and I don't see it having smoothed any uneven pigmentation, but it does do a great job of hydrating and my skin looks much healthier and less tired merely a few minutes after application. I did some research on vitamin C for the face and this came highly recommended. I have been using for a month and it is light weight. I put it on first around my laugh lines, forehead and I pat the excess that's on my hand into my cheeks before I put on my moisturizer. Putting a little on goes a long way. It does give a slight tingling sensation but no burning. What I like about this product is that is not just vitamin C you're getting but peptides which will help aid in the production of collagen. I will definitely purchase again. This is a great product. Makes the skin really glow, and I think I see improvement in the overall appearance of my skin. I love this product, I've purchased this several times from Skincarerx and am always satisfied! It makes my skin glow and reduces fine lines. Will keep buying it! My skin has improved after my first application. Skin is definitely firmer & smoother, pores are less noticeable. So glad I called & was recommended this Vitamin C ADVANCED super SERUM! It is very pure and keeps my skin at a stable condition. 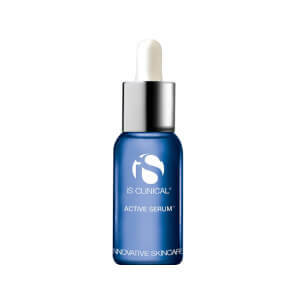 I think I would like to try other serums of iS Clinical. New to iS Clinical products. Have loved every product so far. Amazing for scar correction and skin lightening. Only used for a few weeks and notice huge change on face and body! I am Asian, with fair skin, age 45. As of last year, I was feeling depressed looking in the mirror and seeing someone who didn't even resemble me. I looked so worn out and tired. 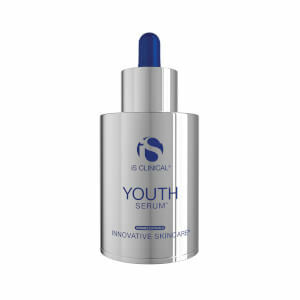 Pronounced age spots and hyper pigmentation, fine lines, and dull, lifeless skin. Out of sheer desperation I started doing research and discovered the top lines and was ecstatic when I discovered SkinCareRx, which has been a major part of my discovery process. I use a combination of products because they ALL contribute specific elements in helping me achieve my goals. My most recent "WOW results" that happened just within the first couple weeks of using iS Clinical Super Serum Advance + I'm using on my face as well as stretch marks on my hip areas. The change in quality of my skin (facial area) is almost indescribable. I see a youthful quality to my skin. I guess the word is, Ã¢â‚¬Å“vitality,Ã¢â‚¬ï¿½ which is something I havenÃ¢â‚¬â„¢t seen since my early 30Ã¢â‚¬â„¢s and thought IÃ¢â‚¬â„¢d lost it. My stretch marks are less pronounced and IÃ¢â‚¬â„¢m curious to see how longer term use will ultimately make a difference. I am definitely purchasing more of this amazing serum once I'm out. I still use my SkinMedica and SkinCeuticals (other reviewers compare this one product to their CE Ferulic). I donÃ¢â‚¬â„¢t think of comparing Vitamin C products against one another as both are highly effective. They seem to work in different ways. Some days I use either one or the other depending on the effect I want. I will say that the iS Clinical product is watery and has no odor, which is nice.